Tired of the same sad Seder each year? Want to better understand what is actually happening and add some (Passover) spice to the mix? Here's your chance! Join Rabbi Siegel on Tuesday evening, April 16, 2019, 7:45-9:15 pm (immediately following minyan) for a guided tour of the Passover Haggadah complete with new & old ideas, melodies, hand-outs, and so much more. 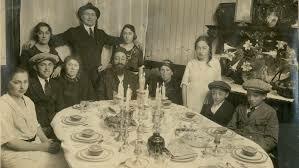 Don't let the only memory of your Passover Seder be the food! Let your guests depart filled not only with matzah, but "Judaism & Joy!" See you next week? I hope so! Rabbi Siegel will also have copies of Noam Zion's Haggadah-A Different Night: The Family Participation Haggadah for sale!